See the very best of Paris : Please find herewith our unique pictures gallery of Paris - Photos of Paris and reviews of the places of interest of the city of lights. The purpose of our website is of course to show the very best of Paris... We have taken and collected many pictures of Paris - We continue to take photos of Paris ... and to answer your e-mails. We live downtown Paris and we know our city quite well... If you need a good adress or just a personal picture, just ask for it - It may take a little time but we'll answer and we'll send you our opinion about a place or the pictures you want... Paris pictures on demand ! try it ! See our favorite pictures on the right ... For a virtual visit of Paris use the menu on the left. learn about the history of the monuments we do a picture of - Read about history or just our comments and reviews about restaurants or hotels. If planning to stay in Paris ... just ask for advise. We'll be happy to help. 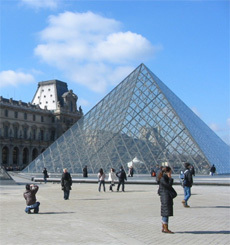 Here is a selection of pictures of museums, monuments and areas or places to see when staying in the city of lights - Bastille, Orsay, Montmartre, Champs Elysees, Invalides, Le Marais & Saint Paul Village, Rodin Museum, Palais Royal, Saint Germain des Pres, Latin Quarter, Seine River & Notre Dame, Eiffel Tower... but also free snapshots of the streets and free photos of major events like Paris Plage, 14th of July, Tour de France ... Follow the free photo tour.